More and more homeowners are turning to man made exterior door and window trim products to lower home maintenance tasks, reduce building costs, and to extend the longevity of their homes. 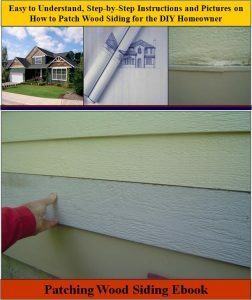 In addition, installing exterior trim boards on a home can morph the appearance of an otherwise ordinary vinyl clad home into that of a custom home. If you are building a new home or remodeling your home’s exterior trim, and you are looking for low maintenance exterior trim material with long life cycles then you will want to consider Azek trimboards. Azek trimboards are made from cellular PVC (PolyVinyl Chloride) and are uniquely designed for exterior and interior home trim applications. Azek trimboard products include standard trimboards, cornerbead, beadboard and even sheet boards for soffits. Azek PVC products also include millwork products such as interior trimboards, fascia boards and detailed mouldings. They come in either natural or semi-matte white colors and can accept paint or stain, though painting/staining is not required. Also since they are manufactured, versus harvested from a forest, Azek trimboards’ quality is consistent and uniform throughout the entire trimboard. Thus, there are no knots, voids, or twists in the material. In addition, all the edges are perfectly square and smooth so excellent joinery is ensured. Again, they come in standard lumber stock widths. Normally they are sold in 18 to 20 foot lengths and come with a protective wrap. Because Azek trimboards are manufactured with PVC they will not absorb moisture. As a result, unlike wood trimboard products that are moisture absorbent, Azek trimboards will not twist, warp, cup or rot. Azek provides a 25 year warranty. In addition, because PVC is flexible Azek trimboards can be flexed and shaped around curves avoiding any cutting and providing a cleaner finished look to archways. As I indicated early Azek trimboards can be cut using standards saws with carbide tips and be fastened using standard hammers or nail guns, such as the Senco #1G0003N Clipped Framing Nailer. As with all exterior trimboards they can be fastened using stainless steel or hot dipped galvanized ring nails. They can also be glued together with special PVC glues that are readily available. Pre-drilling holes is not required, but can be done using standard drill bits; however as with all power cutting tools the blades should be sharp to avoid excessive frictional heat build up. Azek trimboards can also be routed using standard carbide routing bits. Routing edges are left clean and as crisp as the rest of the material. Azek trimboards have been designed to look and feel like standard premium grade lumber and are available in either smooth or rough finish. Azek trimboards are expensive. They can be up to 2 times the cost of traditional woods. However the cost is justified by the fact that maintenance is not required and that the entire product can be utilized. Again, with wood trim boards; there are frequently knots, cracks or split ends that prevent the full use of the lumber which result in effective higher linear costs per foot.